Lake Louise has become symbolic of an iconic Canadian mountain experience. A sparkling blue-green alpine lake situated at the base of glacier dressed peaks, Lake Louise offers paddling and hiking adventures during summer and one of the most scenic outdoor skating rinks in the world during the months of winter. 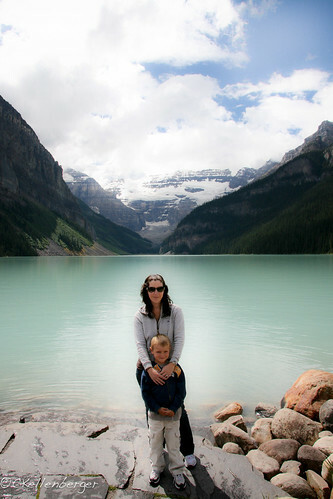 It also makes for a stunning photo essay of Lake Louise and its attractions. This beautiful lake in Banff National Park is a UNESCO World Heritage Site that offers a breathtaking landscape. 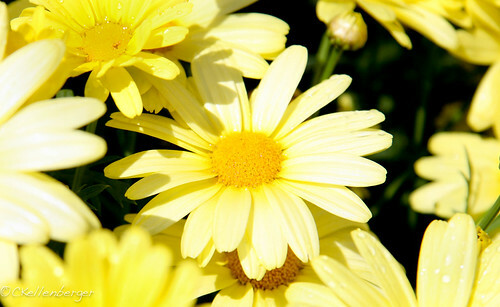 It’s no wonder that it has been named time and time again as one of the world’s must-see destinations! John and I have been wanting to do a cross country Canada trip for quite some time, and we were lucky enough to have that opportunity when a friend of mine got married in Smithers BC. Although our son Caleb has been to Canada on a number of occasions to visit with my family, this was his first time outside Ontario. Caleb really enjoyed his trip to the Canadian Rockies. When I asked him what he remembered most from this trip he talked about wandering along the water’s edge at Lake Louise and walking on Athabasca Glacier at the Columbia Icefield. Lake Louise was initially know as the Lake of Little Fishes by the natives who were settled in the area, but the lake was christened with a new name in August 1882 by a horse wrangler named Tom Wilson, who named the lake “Emerald Lake” because of its beautiful green waters. 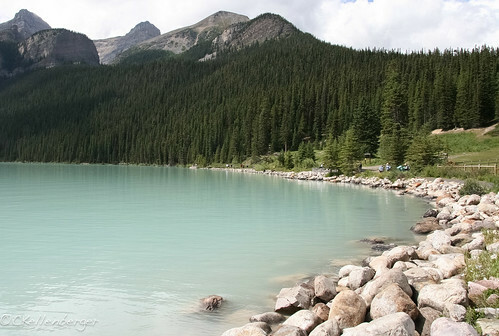 Two years later, the lake became known as Lake Louise to honor Princess Louise Caroline Alberta, who was married to the Governor General of Canada. Caleb and I in front of Lake Louise. Lake Louise’s open chair and enclosed gondolas offer one of the world’s greatest views. The 14 minute ride sweeps you up 2088 meters. At the top, you can enjoy guided walks, interpretive programs and presentations, or grab a bit to eat at the Lodge of Ten Peaks. You never know, you might even spot a grizzly bear! 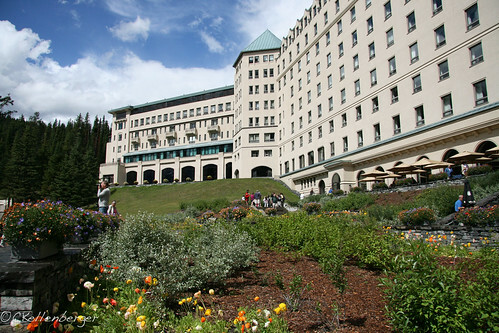 Visit the Fairmont Chateau Lake Louise, where you can enjoy a number of historical hiking trails. Wild Water Adventures offers whitewater rafting trips on the famous Kicking Horse River during the summer months. Hike during the summer or winter with Great Divide Nature Interpretation, which offers guided hiking and snowshoeing in the Lake Louise and Banff areas. 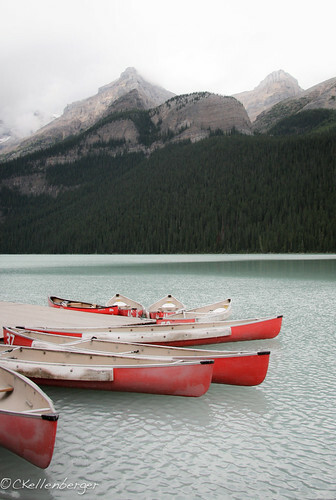 Visit Moraine Lake, where you can enjoy hiking, kayaking or a coffee by the lake. Winter visitors can enjoy a dog sled trip with Kingmik dog sled tours. Choose from a 30-minute introductory ride to a two hour adventure into the Continental Divide.